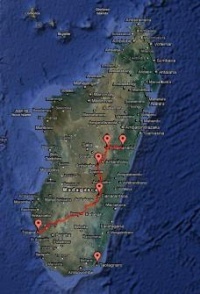 In April/May 2001 I spent 3 weeks in Madagascar. The tour was organized by Eldertreks, an adventure travel organizer for older people. The tour was very well organized. Most of the time we traveled in a small bus. There was a little fighting over seats during the trip, but it wasn't a serious problem. All meals were included in the tour. The food was exceptionally good throughout the trip. I was quite surprised about that. We took a couple of flights in Madagascar to get to Taolagnaro (Fort Dauphin) and back. Accommodations throughout the trip were good, considering that we were in a really poor country. The other people in the group were of different backgrounds, almost all of them over 60. This was a problem for me. The whole tour is designed for older people who go to bed at 21:00. There were absolutely no activities in the evening. At 20:30 everybody started to get restless if the dinner was that long. By 21:00 everybody was in bed (or at least in their rooms). I was the only person of the group that had a drink after dinner. In most places the bar (if there was one) closed around 22:00. As I understand it, all tours through Eldertreks are designed like that. The average age in this group was around 65, from what I understand it is more like 70 or above for most of their tours. Because of that I would not go on a tour with Eldertreks again, but if that is the right environment for you, I can really recommend this organization. One remarkable fact about this particular group was that everybody was on time - always! We never had to wait for anybody! Madagascar is a desperately poor country. This is evident in a lot of places. One result of this is the extensive deforestation. Only 10% - 15% of the forests are left. Horrible erosion scars are everywhere, and all the rivers are red/brown with the eroded top soil. One reason is the need for local people for firewood, the other is clear-cutting for agriculture. I am afraid that the only way out of this situation is increased tourism which could bring much-needed money to the country and would give more incentives to preserve what is left of the forests. The page about the people of Madagascar shows some of what I saw. There are some organizations that try to improve this situation. 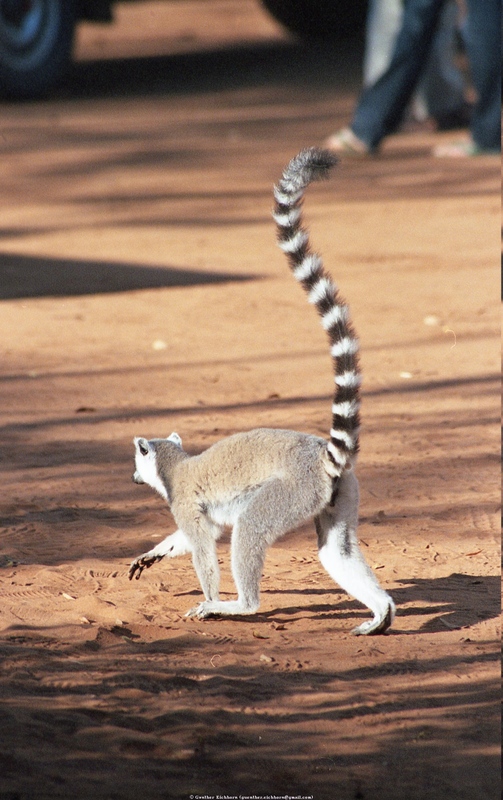 One of them is the Madagascar Wildlife Conservation. I visited 3 nature reserves and saw lots of wildlife there. The Lemurs are just what you expect from the pictures that you have seen. Other type of animals that come in interesting varieties are the reptiles (chameleons, geckos, and lizards), and insects (beetles, butterflies, dragon flies, and more). 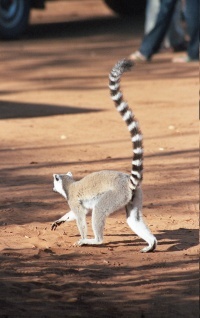 The page about Nature in Madagascar shows a few of the animals and plants that I saw.